CLIMATE CHANGE IS the most urgent challenge facing the world today. Its impact is universal, from more severe droughts in sub-Saharan Africa to devastating hurricanes across the Caribbean and the United States. For Massachusetts, this is not only a threat but an opportunity to show leadership on a national and international level, and to position the state economy to take advantage of jobs and opportunities in the low-carbon and renewable energy sectors. Fifty years ago, I was inspired by Boston’s energy and intellectual creativity when I studied for my master’s degree in law at Harvard University. I remain inspired as I return this week to learn from local climate activists about their efforts to drive forward ambitious new approaches. The city of Boston released a study in 2016 warning that without substantial falls in carbon emissions, Bostonians will suffer from more extreme and frequent heat waves, higher sea levels, and associated flooding in the coming decades. Boston and the state both have a strong track record on climate action. Boston is a signatory to the Global Covenant of Mayors, a group of over 8,000 global mayors who pledged in 2017 to continue to work to honor the Paris Agreement. A seaside city once lived by the rhythms of its tides. As the oceans rise, it may do so again. 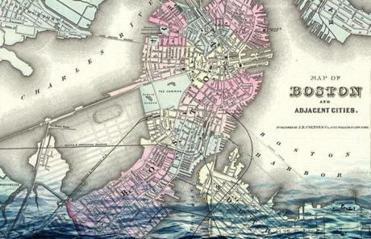 What lessons can Boston learn from its past? Massachusetts was a founding member of the Regional Greenhouse Gas Initiative to cap and reduce carbon emissions in 2009, and in September 2016, an executive order directed all arms of the state government to plan for the ongoing impacts of climate change. But in the words of the great literary Bostonian Henry James, “a tradition is kept alive only by something being added to it.” This is why I believe the Act to Promote a Clean Energy Future bill currently being debated in the Legislature is a vital step forward and another opportunity for the people of Massachusetts to show leadership on this global issue. This bill would divest the state’s pension fund from fossil fuels, institute a state-wide carbon price, and set binding carbon pollution limits for the years 2030 and 2040, among other measures. If passed, it will result in cleaner air, more sustainable energy, and more low-carbon jobs. The International Labour Organization predicts that the green economy will create 24 million jobs by 2030, and those at the vanguard of climate action are best placed to benefit from this economic transformation. Passing the bill will be all the more significant because of the changes to the political climate of the United States and the wider world in recent years. I served as a special envoy on climate change for the UN secretary general from 2014 to 2015, a period which culminated in the landmark Paris Agreement of December 2015. This remains a remarkable triumph of ambition and solidarity, where the world came together and committed to act for the sake of future generations. When President Trump announced his intention to withdraw from the agreement in June 2017, I described this as the action of a “rogue state” — a term I would, with regret, still use today. But the reaction to the current administration’s recidivist climate policies from the American people has, conversely, given me hope. At the state level and in cities, businesses, and communities across the country, the move from fossil fuels is well underway, and climate action has shown itself to be resilient, resourceful, and defiant. It is in all our interests to use the political, legislative, and social means at our disposal to deliver an achievable transition to a zero-carbon economy based on renewable energy and keep temperature rises to below 1.5 degrees Celsius. Meeting this challenge is not just a question of technological development and economic planning. At its heart, climate change is a matter of justice and human rights, and any sustainable and effective response must have these concepts embedded into its policies. We know already that those who are most vulnerable in society will suffer most from the impacts of climate change. People who are marginalized or poor, women, or from minority and indigenous communities, will be disproportionately affected. These people need champions. In this regard, I am impressed by the work of local climate activists, including the Better Future Project and 350.org. I believe it is essential that their voices be heard, respected, and included in policy debates — particularly the voices of women and minority groups. We will only succeed in tackling climate change if we develop a holistic and interconnected response based on human solidarity and justice. One example of this is a proposal for Massachusetts citizens to voluntarily contribute any portion of their tax refund to the Least Developed Countries Fund, the UN-mandated fund to help the world’s most vulnerable countries to adapt to the effects of climate change. This idea encapsulates the “think globally, act locally” maxim that has inspired the climate movement for decades, and is worthy of wide support. 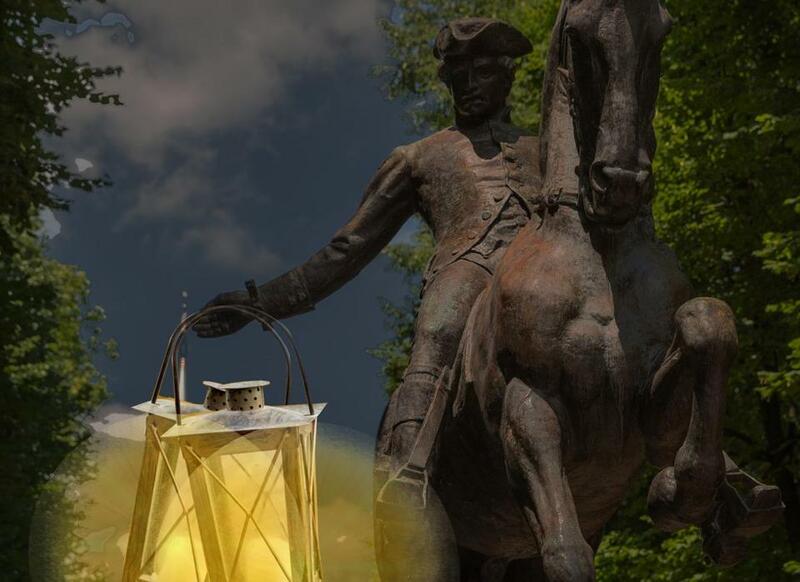 In the absence of bold or enlightened leadership at a national level, Massachusetts can show the rest of the United States that climate action is right, necessary, and strategic for success in the economy of tomorrow. Mary Robinson is the former president of Ireland. She is a founding member of The Elders.